The PST splitter tool smoothly works with both versions of Outlook file that is UNICODE and ANSI. It is supportive to all the versions of Outlook PST file as well, starting from Outlook 97. It has very easy interface and perform the task in fewer steps. 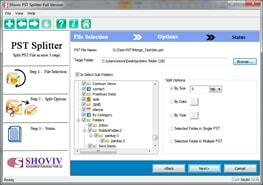 *Free Download allows to convert & save 25 items/folder from PST Splitter. The software efficiently breaks the large PST file into smaller ones irrespective of its size. It is a highly efficient tool and split PST extremely fast without damaging the dignity and accuracy of PST files. If a user wants to separate the PST file year wise, then the PST splitter offers this option of splitting. It splits the PST year wise after asking for a date range. The newly created PST can be further accessed in Outlook. If a user wants to split the large size PST file in small fragments date wise, then this software offers this option. It gives options to users to select multiple date range to split the file based on that. In a situation where a user wants to split PST file based on selected folder, the option exists in this tool. This option allows the user to split the file based on selected folder. For e.g. if a user selects the folder inbox, sent mail, contacts, calendar, etc. to split PST files, then the software will create a separate folder of PST for each folder and folders will be created in sequence. The software also helps users in breaking the large size PST file based on size. 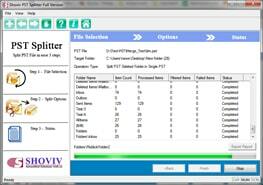 The Shoviv PST splitter tool. If the PST is of older version of Outlook, which had the limit of 2 GB, then it can be broken into MB and PST of the latest versions of Outlook, which has the limit of 20 to 50 GB can be split into GB. However, the option of splitting PST in MB and GB is available for both types of file. When a user need to save particular folder in single PST, then this option is of great help to them. If a user select folder like inbox, sent item, task, calendar, etc., then the software creates the single PST file. No change in meta properties of software takes place while splitting the large PST in small size. The meta properties like date, time, To, from, subject, attachment, all remain unchanged. 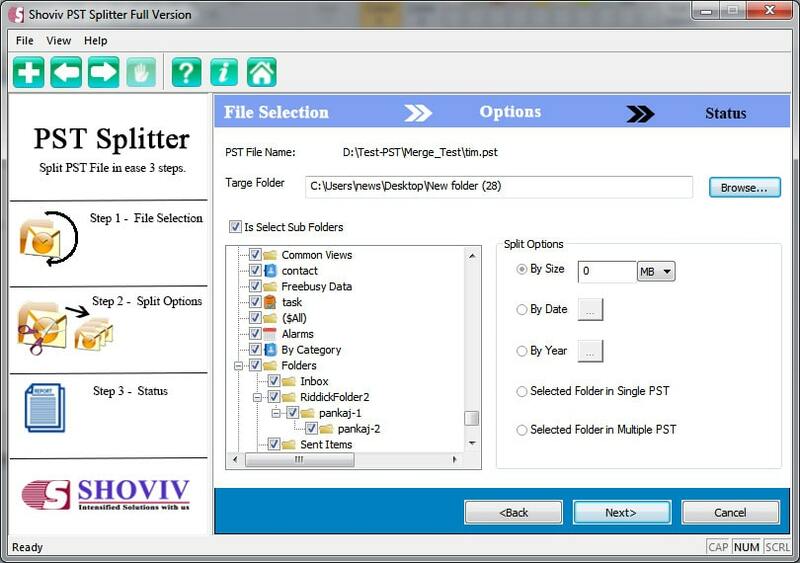 PST splitter software has the latest Graphical User Interface, which made it really easy to use even by a non-technical person. So, one needs not to learn how to work with it before purchasing it, it is simple and unique. The tool has power to work with all the editions of MS Outlook application so, no matter if you are working with earlier or older edition of this emailing client over system installed with Windows computer system. 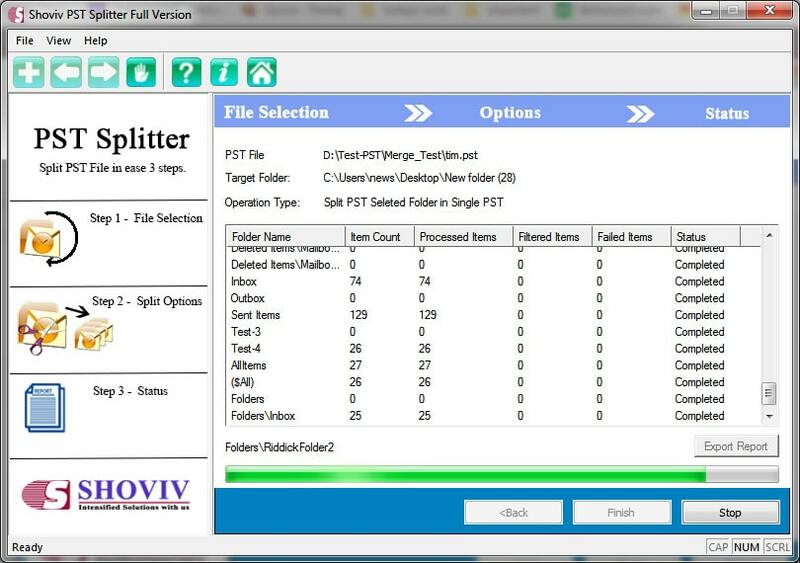 How much time Shoviv PST Splitter software will take to split 50 GB PST file? The PST Splitter software has been originated through the technical experts and it is being integrated with all latest features, which allows it to work faster with 100% accuracy. That’s why it can split 50 GB PST files in a couple of minutes. Would I be able to access the newly created PST file in an old version of Outlook? Yes, the new PST file created after the splitting process that can be accessed in the Old version of Outlook without any hurdle. It is originated to work and support all the editions of MS Outlook. How to split damaged oversized PST file? 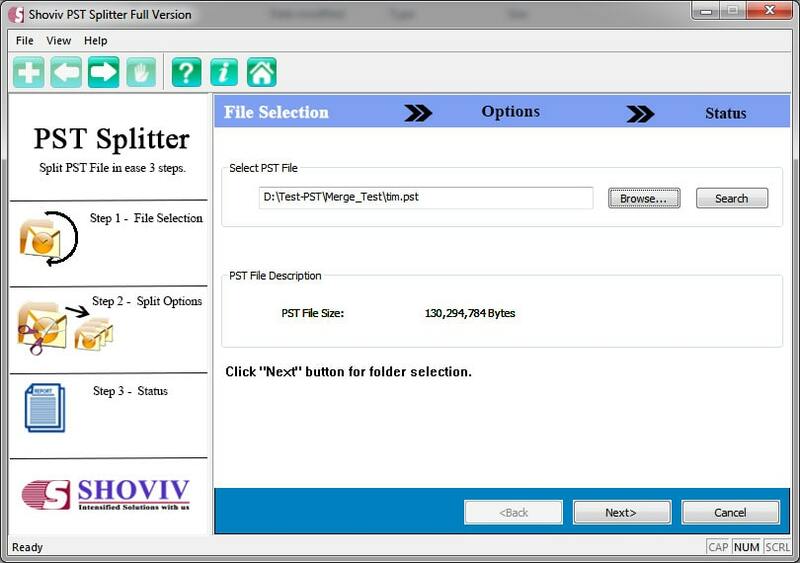 PST splitter software merely works with the healthy PST file. This software helps users in the protection of large PST files from corruption and being damaged. 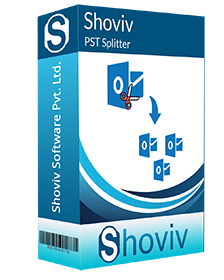 You should use Shoviv PST repair software to split oversized and damaged PST files afterward using repair software, you can split the oversized PST file. What will happen to the original file after splitting process? The PST Splitter software merely takes data from PST file without defaming and alteration in the prior Format. Thus the original PST file remains it prior to the splitting process. How many PST files can upload into the software interface at once? At a time, the Split PST file software allows you to upload one file at once, regardless of its size. Don’t worry if you need to split more than one file, because it executes faster than the alternative options.